HID? LED? Dramatically improve your headlights today! Insightcentral.net is the premier Honda Insight Forum on the internet. Registered Users do not see the above ads. I’ve edited your above post for language. This won’t be tolerated. You seem to consider yourself some type of lighting expert. The original poster of this thread has asked you or anyone to post pictures of the cutoff pattern of your lights for comparison. If you can’t do it or post a link to your pictures, please stay out of the thread. Future posts from you with foul or derogatory language will not be tolerated. Citrus 2000,MT 182,000mi, MIMA, RE92's, S2000 leather steering wheel, Japanese seat covers. New rear coil springs available, PM me. One piece aluminum underbody panels. Can anyone with any upgrades post pictures behind the headlight housing? This is also important along with beam pattern. Did anyone manage to add led bulbs without removing the rubber covers that go behind the headlight housing? The Amazon links posted earlier no longer work, anyone have updated ones? 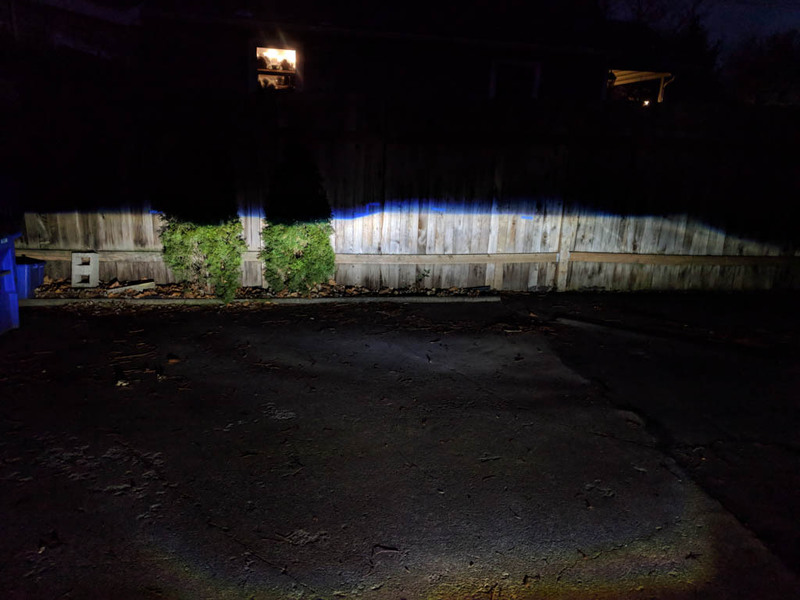 I'm not 100% sure if this is what you are looking for, but pictures of my LED Projecter retrofit can be found in my thread here. The rubber covers needed to be adapted to the bulbs I mentioned a couple of pages back. I simply took an Exacto® knife and cut about 1/2" of the narrower center section away, plus I also cut a small line on the lowest part of the cover (between the two drainage tubes) so the wire would fit. The rubber covers nicely grasp the larger base of the bulb and the cut guides the wire out with no issue. I simply plugged the pigtail into the original wiring, and... Voilá, much better light in the darkness for me. Sam, RAINSUX, was kind enough to install the LED headlights in my Insight. He surmised the rubber covers would be unneeded. The LED manufacturer says these LED's work underwater. I do not know if they do work underwater but they work just fine without the rubber covers out here on the very, very rainy coast of Oregon. As always, YMMV. Interesting product, but I see some things that would give me cause for concern. You would need to remove the glare shield from the Insight headlight. That's the thing that partially covers the bulb. To do it properly, i.e. reversibly, it would still be necessary to almost completely disassemble the headlights to get to the screw that holds the glare shield in place. The sales pages for these bulbs seem to conveniently gloss over this detail. That's a very good point, which I hadn't considered. So it's a full disassemble anyway, in which case putting in proper bi-LEDs with shroud would be the sensible way. Still curious to know how well the mini-projector would work, but you're probably right about the thermal management or lack of it. Last edited by kalmar; 04-14-2019 at 06:15 PM. In order to be able to post messages on the Insight Central: Honda Insight Forum forums, you must first register.